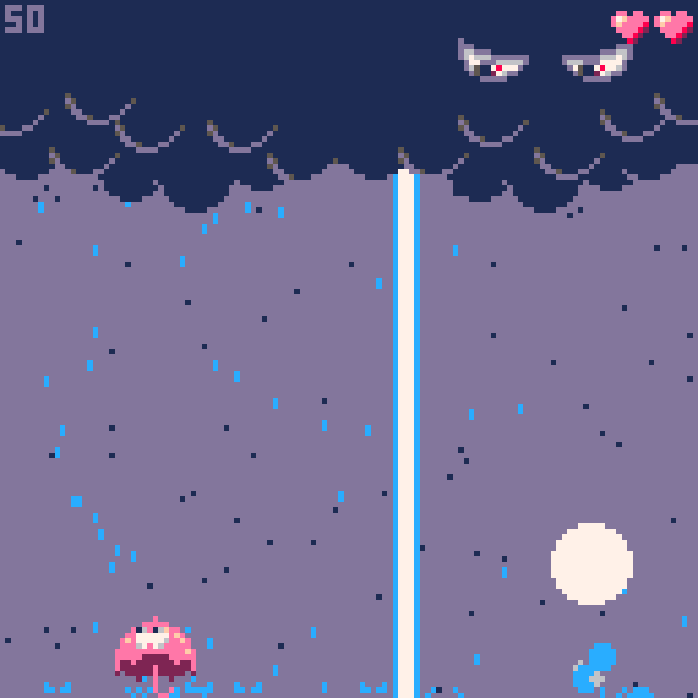 Thunder Bella the Cloud Chaser is a PICO-8 game by EvilPaper. Bella is trapped in a vicious storm. She needs to fight to survive. Can you beat the evil Thundercloud and save Bella? Use fireworks and handy power-ups to win the battle! Added a new boss attack pattern, the Mighty Thunderstrike. A bunch of power-ups that actually has an effect on the gameplay and a hefty amount of balancing. I think the game is more playable now. It all ended up in a Just-One-Boss type of game.